Been injured in truck accidents that involved an autonomous ‘test’ semi? Contact our Salt Lake City truck accidents attorney who’ll fight them and get the compensation you deserve. 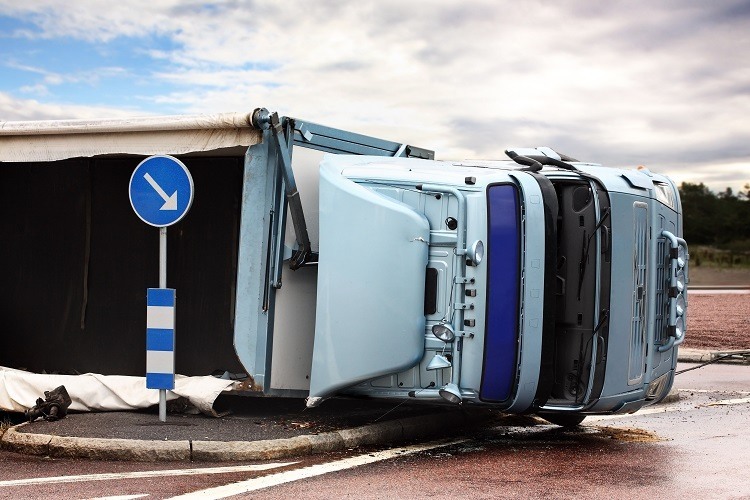 Home > Blog > Will Autonomous Commercial Vehicles Curb Truck Accidents? Think self-driving cars are the answer to society’s need for safer cars? Coming soon to your local Walmart may be an autonomous semi bearing pallets of product and one driver ‘monitor’ playing Words with Friends as his company truck barrels down the interstate. It’s true. Autonomous commercial semis are hitting test roads across America, with Google testing their delivery trucks in Georgia while Tesla is taking their tractor trailers to California freeways. With an accident involving an autonomous Uber car that killed a pedestrian in Tempe forcing the ridesharing giant to halt testing, we wonder just how likely truck accidents will diminish over time when semis become driverless. Or, will your Salt Lake City truck accidents attorney will still be fighting claims in 50 years? There’s only so many ways engineers can mimic human interactivity. It’s easy to program cars and trucks to spot obstructions, brake when other vehicles come within a certain proximity and even change lanes. Problem is, many components of driving can’t be replaced by human beings, such as knowing when it’s prudent to pass other cars and how hard to apply brakes when obstructions quickly enter their field of vision. Now, we’ll admit that many other driver reactions have been perfected, such as speed adjustment and automatically turning on wipers when moisture is detected. We’d still be remiss to assume that autonomous transportation is perfected, or even close. Besides, how could autonomous vehicles avoid an oncoming vehicle traveling at high speeds? They can’t, and probably won’t, which will make any Salt Lake City truck accidents attorney fight harder for clients who bring claims that autonomous semis acted recklessly. The problem with any computer-driven innovation involves the very same thing we experience every day: hacking, viruses, and internal errors. What happens when semis go fully automated, and their software malfunctions while hauling 20,000 pounds of merchandise? It’ll be someone’s head. Nobody wants autonomous transportation to cease evolvement. It’s important that we not get ahead of ourselves, according to our Salt Lake City truck accidents attorney, and assume that vehicles with onboard technology rivaling the DeLorean from Back to the Future will not need human beings behind the wheel. There’s so much that needs to be improved on semis that rely on proprietary software technology, and plenty of testing that needs to be done to make sure all angles are covered. Google and Tesla are spearheading the development of autonomous semis, with competitors quickly lining up to challenge their price points. Deployment is still several years away, which one would assume will begin with today’s biggest trucking need – package transportation. In our opinion, self-driving semis won’t take away the frequency of truck accidents that occur every day; they’ll just make litigation or defense of these accidents trickier. Human beings will never change their need to rush around town or their pursuit of ‘safe drunk driving’. That much we do know.